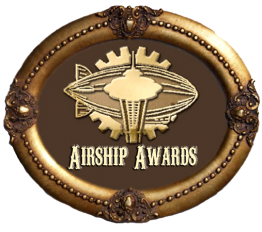 How can we gauge the political potential of our imaginations in the steampunk community? 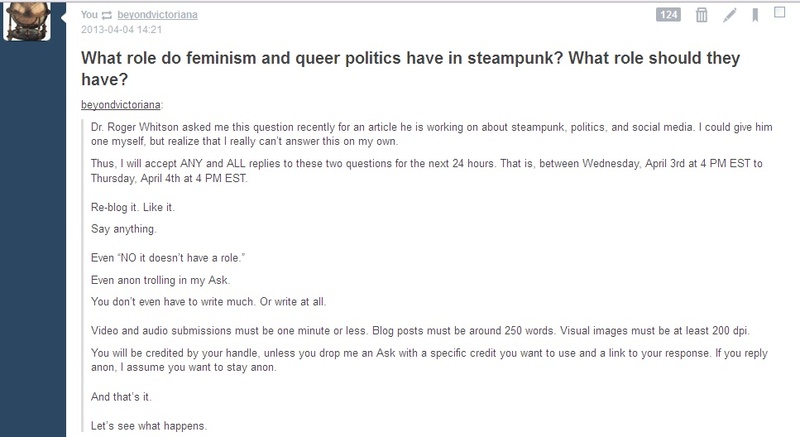 Thus, Roger asked me to submit a brief response — at most 250 words — in reply to his questions: “What role do feminism and queer politics have in steampunk? What role should they have?” in order to assist his article on steampunk fandom and the digital archive. And of course, being a steampunk, I rebelled, and, instead, unleashed this question to my fellow readers. To show a sampling of what political awareness the community has (and the application of that awareness to steampunk) I posted the above blog to Beyond Victoriana’s tumblr and another one to its Facebook page. After the jump, I do give my response, but it cannot be one made separate from the responses of many, many others.